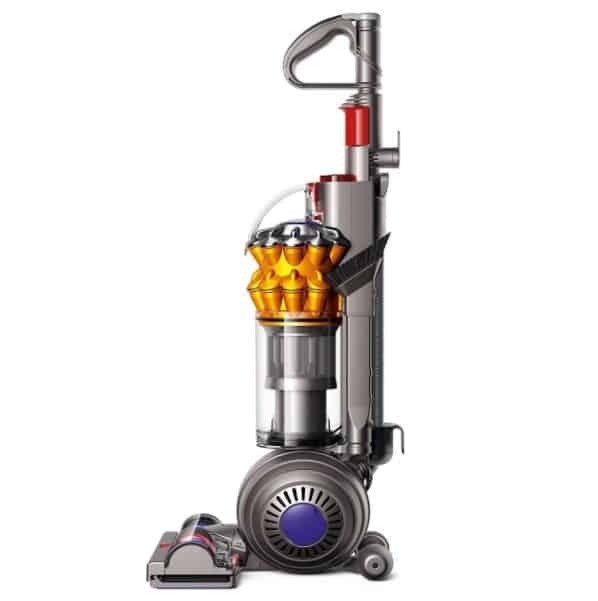 The Dyson Small Ball Multi Floor Upright Vacuum is on sale for $219.50 at Amazon right now. That's 45% off the list price of $399.00! This is one of today's Amazon Daily Deals for 9/20! Advanced self-adjusting cleaner head; automatically adjusts between carpets and hard floors – sealing in suction. Direct drive motor pushes bristles deeper into carpet. Light to carry- weighs just 12.15 lbs. for easier lifting up stairs and around the home; saves more storage space than a full-size upright vacuum.